When you’re building your new home, where do you live? 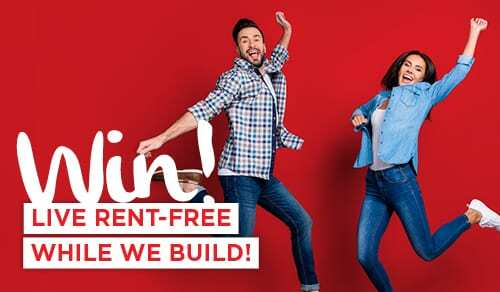 Do you rent a property, stay in your existing home (and pay two mortgages) or live in a caravanIt’s worth thinking about. While the cost of the land and the build are considered in your budget, often the cost of rent doesn’t get accounted for. Generally, when people think about building a house, “relaxing” is not what they picture.But that’s exactly what Joe Webber says Sentinel Homes delivered when we built not one, but two homes for him. Tawhiri and Tanya Pohio, owners of Sentinel Homes Manawatu/Whanganui, are people with vision. Already successful business owners, they have been running a renovations company since 2005. Then, a few years ago, Tawhiri made a plan – he wanted them to be running a company specialising in new builds by 2019. Christmas is all about spending time with the family – and at Sentinel Homes, that doesn’t just mean relatives. Part of what makes our company so unique is our strong shared values, and the silly season lets us spend some time on our work relationships. MEET OUR WANAKA FRANCHISEE, BOB HOWDEN When Bob and Jonwin Howden of Sentinel Homes Wanaka complete a build, they don’t see it as the end of the process. In fact, it’s just the beginning. “We’re here for the long run,” Bob says. “We will be here to do the right thing – not the easy thing if something was to go wrong.” With nearly two decades of building experience behind him, Bob is a believer in building homes that last and stay looking good, using quality materials and time-honoured techniques. A BIG CONTRIBUTION FOR AN AMAZING CAUSE We’ve got a pretty big Christmas present ready for Parenting Place this year – a brand new house. After buying the land and building a home, we’ll sell the property and hand the profits over to our favourite charity. Sentinel Homes has once again seen its passion for building great family homes rewarded at the RMB Auckland House of the Year Awards. Sentinel Homes took out six awards, including gold - taking the Auckland team’s gold tally to nine, with 30 awards in total. We also won Gold Reserve (the overall winner in a category) in 2011, 2013 and 2014. Last month our Warkworth/Matakana franchise owner, Brent Gilchrist passed away unexpectedly. The following story is testament to Brent’s legacy of integrity, passion and good will – something Brent’s wife Ursula and her team are committed to as they continue to manage Sentinel Homes Warkworth/Matakana. We’re all about the people here at Sentinel Homes, and our staff are an integral part of that philosophy. To give you an insight into our awesome team, we’re profiling our people up and down the country. This month, the spotlight is on Maree van de Water, our NorthWest franchise owner and Managing Director. The building process can be more affordable than most believe, or you may have been told by your bank. With the Reserve Bank exempting all builds from LVR restrictions, Marilize Visser, key account manager for NewBuild advises on the best ways to make financing your new build hassle-free by offering a “client turn key” loan – offering all the benefits of a “progress payment” construction loan and “turn-key”. When Kylie Harcourt typed the wrong word in a real estate search, it sent her down a rabbit hole that ended with her dream; a beautiful cottage in a remote location. Find out how Sentinel Homes turned that dream into a reality. Thomas and Caitlin Weston are turning a bare piece of dirt into a family home with help from Sentinel Homes. Follow their journey as they turn their quest for a dream home into reality. Sentinel Homes Waikato were delighted to pick up a clutch of awards at the annual Registered Master Builders House of the Year awards at the Claudelands Event Centre recently. It was a great achievement given this was the first time they had entered the Awards and they knew they were up against some fierce competition. It’s a testament to the quality of their work that they managed to pick up a Gold and then the overall Category Winner for their Flagstaff Showhome. They were also awarded a Silver and the Lifestyle Award for Outdoor Living for one of their client’s Cambridge Park homes. The past year has been an interesting one for the real estate market in the Bay of Plenty, with prices generally rising in response to increased demand in the area. For those planning on purchasing their first home, it’s especially important to pay attention to what the horizon will bring. Read on to find out more about our outlook. House and land packages combine the comfort of owning land with the freedom that comes with designing your own home plan. Your customisation possibilities extend beyond the home itself, allowing you to choose both where the windows are and the view they look out to. With lots of exciting land ownership opportunities opening up in recent years, it’s a great time to look at combining your new house design with a plot to match.